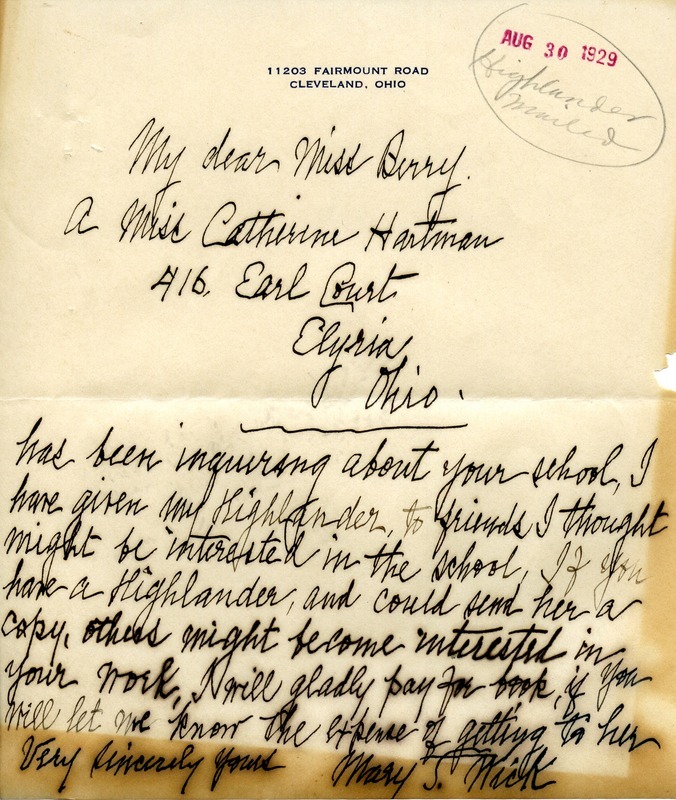 In this letter Mary S. Wick is inquiring about a copy of Highlander magazine to give to interested prospective friends. Mary S. Wick, “Letter to Martha Berry from Mary S. Wick.” Martha Berry Digital Archive. Eds. Schlitz, Stephanie A., Chelsea Risley, Jordan Brannen, et al. Mount Berry: Berry College, 2013. accessed April 25, 2019, https://mbda.berry.edu/items/show/11351.